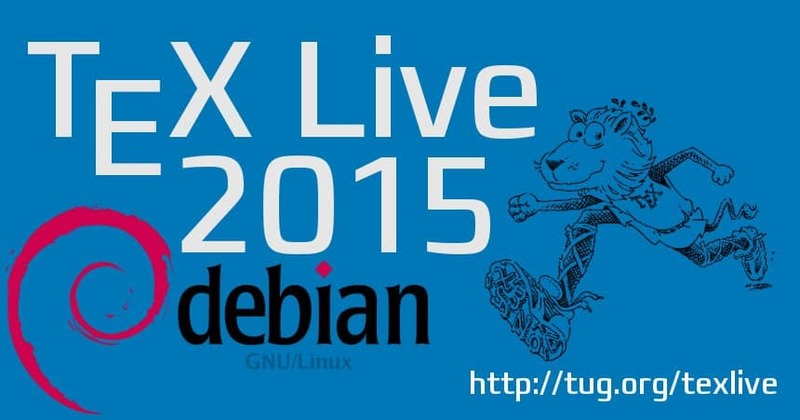 Here we go, I just uploaded 15 packages to the Debian archive that brings TeX Live in Debian up to the 2015 release (and a bit newer)! Uploaded packages are asymptote, biber, context, context-modules, jadetex, musixtex, pmx, tex-common, texinfo, texinfo-doc-nonfree, texlive-base, texlive-bin, texlive-extra, texlive-lang, xmltex. The packages are basically what has been in experimental for quite some time, plus a checkout of tlnet from yesterday. For details on the changes and the new packaging, please consult this post. So, now let the flood of bug reports begin, but in the mean time, enjoy!